If you think SnowSphere.com is a good website, please spread the word to help us grow by linking to us from your websites, blogs, forums, MySpace pages, Facebook profiles etc. SnowSphere Facebook Group - On Facebook? Join the SnowSphere army. MySpace.com/SnowSphere - Got a MySpace page? Come join the SnowSphere network. 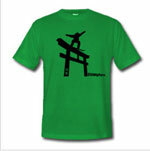 SUKmag - The cyber home of Snowboard UK, Britain's longest running snowboard mag. Blog, pictures, articles and videos. White Lines - The website of the excellent magazine. Features news, extra articles, and videos. Step-On.co.uk - Long running independent British snowboarding e-zine with interviews and articles on lifestyle, culture, music and art. SnowBroader.eu - Snowboarding blog dedicated to covering the European snowboarding scene. Also features regular snowboarding video podcasts - Broader TV. The Funky Drummer - SnowSphere Editor's former blog; two years worth of adventures in the rural rice paddies of Fukui in snowy Japan. GoneBoarding.co.uk – UK’s best snowboarding forum, populated by a knowledgable and friendly bunch. SnowboardClub.co.uk - Apparently Europe's most visited snowboarding site, features a frequently updated news section and hosts popular forums. PowderRoom.net - Snowboarding site dedicated to the ladies - features articles, news and forums. PisteHors.com - An excellent and long running site dedicated to backcountry skiing and snowboarding. UntrackedGuides.com - The place to go for info on heli-skiing and cat-skiing operations around the world. Tasty.sk - Slovakian snowboard and skate e-zine (all in Slovakian). BigJump.is – Iceland's premier snowboarding site (in English and Icelandic). Natives.co.uk - comprehensive site listing ski jobs for winter season workers, also features a forum and a free snowsports magazine - Tribe. Ski-jobs.co.uk - useful ski job site with season job listings, video job profiles and lots of help and advice for those wanting to work the winter. SkiHimalaya.com - highly recomended company organising snowboard and ski adventures to Gulmarg, Kashmir. NaturalFreeride.com - UK travel company specialising in exotic snow and kite sports trips, such as Japan, Kashmir and New Zealand. How Do You Like Iceland? - a superb blog all about those crazy Icelanders and their enchanting little island. Very funny in parts. Warning: will make you want to go there. Skyscanner - a fast flight search engine that allows you to find the cheapest flight for your trip. If you would like to exchange links, please send them to the editor. Please note, we will only consider linking to sites that are of genuine interest to SnowSphere Magazine readers.